Tunette Powell has taken Omaha by storm since blowing into town like a mini-hurricane a few years ago. This journalist, author, speaker, nonprofit co-founder, mother, and daughter is a high energy, speak-her-mind advocate for giving at-risk young people the foundational support they need to heal wounds and to pursue dreams. In a very short time she’s garnered lots of attention and accolades and gained quite a following of admirers. This story I wrote about Tunette for Omaha Magaizne (omahamagazine.com) charts her fast-rise to public figure. On this blog you can find an earlier story I wrote about Tunette. Tunette Powell tells it like it is. Upon moving to Omaha in 2010, little suggested Tunette Powell would take the city by storm. She was weighted down by a heavy past and an uncertain future in a new city. But then this dynamo found her calling, and with it the vehicle to use her life to impact others as a motivational speaker, author, blogger, educator, and national commentator. None of it happened yet when she and her husband, Jason, came here from her native Texas for his U.S. Air Force service. She was a first-time mom expecting again. Separated from family and friends and having left her job at the San Antonio Express, the couple suffered financial woes. She also harbored that deep well of hurt. She didn’t know her next step. “Stripped of everything” and “feeling the most alone I ever felt in my life,” Powell says prayer led her on her current path. Tapping a lifelong expressive flair, she studied speech communication at the University of Nebraska-Omaha, for whom she became an award-winning forensics competitor. 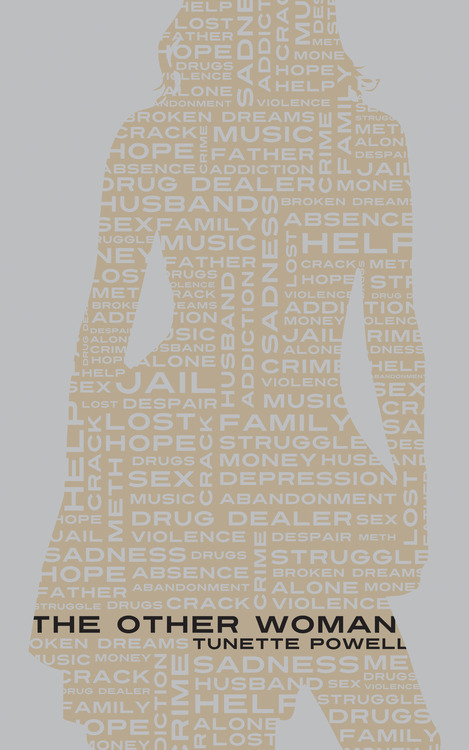 The speech that won her a national oratory title argued against the criminalization of addiction by using her addict father, with whom she’s mended her relationship, as a case study. Their personal story of healing and transformation became her first book, The Other Woman. She now mentors TEDx speakers and other presenters. She’s expanding her own speaking base as she finds her messages resonate widely. Public speaking for her is more than a gig. 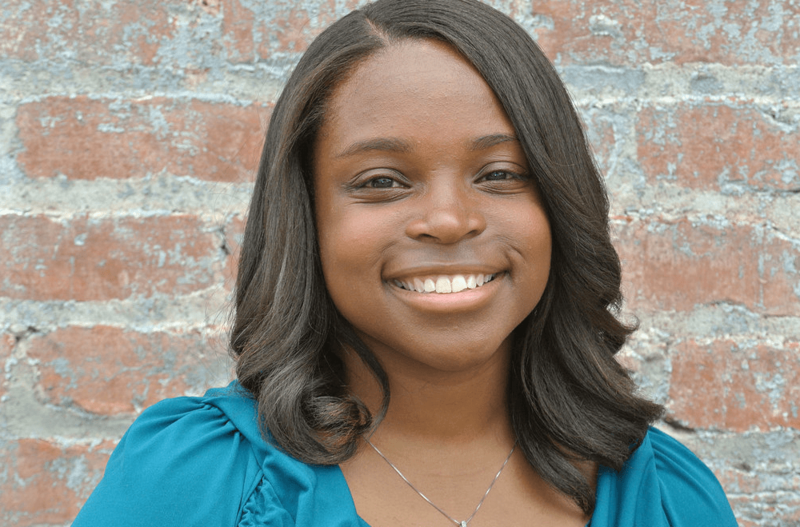 Her appearance on an Oprah show about fatherless daughters led her to write her second book, From Daddyless to Destiny. She and her mother formed The Truth Heals to target fatherless girls and women with a curriculum-based, therapist-designed program. She works with clients at the Urban League of Nebraska, Omaha North High, Girls Inc. Omaha Street School, and Youth Emergency Services. Her Momaha blog is another forum. Posts she wrote about her two young boys’ suspension from preschool (she’s now expecting a third child), the disproportionate number of black male preschoolers suspended nationwide, and the preschool-to-prison pipeline caught CNN’s attention. The story went viral. Media contacted her for interviews. She became a sought-after expert. Parents sounded her out for answers. She says parents must do as she does and participate in their child’s school to give themselves a voice in being part of the change. CNN’s since made her a go-to panelist to discuss trending stories. She addressed Michael Brown’s killing and the Ferguson (Mo.) protests in a televised town hall. Much has come at her in a short time. Powell, who also coordinates the Metro Omaha Tobacco Action Coalition, is happy to have arrived at the spot she’s in. She’s spurned the big-time speakers circuit rather than let national agents promote her as something she’s not. Remaining authentic is paramount to her. North Omaha’s prospects are looking up, even as longstanding problems remain a drag on the largely African-American community, and a strong, established leadership base in place is a big part of the optimism for the area’s continued revival. These leaders are in fact driving the change going on. Working side by side or coming up right behind that veteran leadership cohort is a group of emerging leaders looking to put their own stamp on things. 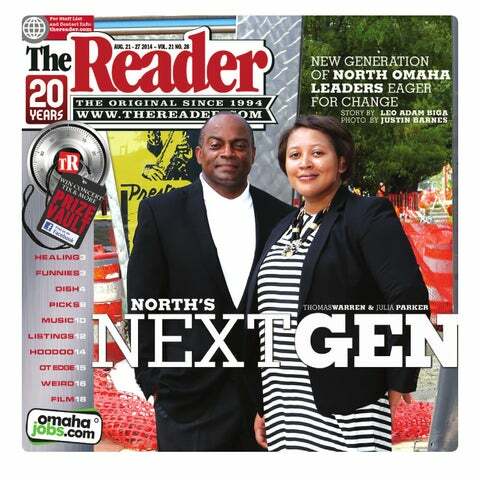 The following article for The Reader (www.thereader.com) takes a look at this next generation of North Omaha leaders and their take on opportunities and vehicles for being change agents. If redevelopment plans for northeast Omaha come to full fruition then that long depressed district will see progress at-scale after years of patchwork promises. Old and new leaders from largely African-American North Omaha will be the driving forces for change. A few years and projects into the 30-year, $1.4 billion North Omaha Revitalization Village Plan, everyone agrees this massive revival is necessary for the area to be on the right side of the tipping point. The plan’s part of a mosaic of efforts addressing educational, economic, health care, housing, employment disparities. Behind these initiatives is a coalition from the private and public sectors working together to apply a focused, holistic approach for making a lasting difference. Key contributors are African-American leaders who emerged in the last decade to assume top posts in organizations and bodies leading the charge. Empowerment Network Facilitator Willie Barney, Douglas Country Treasurer John Ewing, Urban League of Nebraska Executive Director Thomas Warren and Omaha City Councilman Ben Gray are among the most visible. When they entered the scene they represented a new leadership class but individually and collectively they’ve become its well-established players. More recently, Neb. State Senator Tanya Cook and Omaha 360 Director Jamie Anders-Kemp joined their ranks. Others, such as North Omaha Development Corporation Executive Director Michael Maroney and former Omaha City Councilwoman and Neb. State Sen. Brenda Council, have been doing this work for decades. With so much yet to come and on the line, what happens when the current crop of leaders drops away? Who will be the new faces and voices of transformation? Are there clear pathways to leadership? Are there mechanisms to groom new leaders? Is there generational tension between older and younger leaders? What does the next generation want to see happen and where do they see things headed? The Reader asked veteran and emerging players for answers and they said talent is already in place or poised to assume next generation leadership. They express optimism about North O’s direction and a consensus for how to get there. They say leadership also comes in many forms. It’s Sharif Liwaru as executive director of the Malcolm X Memorial Foundation, which he hopes to turn into an international attraction. It’s his artist-educator wife Gabrielle Gaines Liwaru. Together, they’re a dynamic couple focused on community betterment. Union for Contemporary Arts founder-director Brigitte McQueen, Loves Jazz and Arts Center Executive Director Tim Clark and Great Plains Black History Museum Board Chairman Jim Beatty are embedded in the community leading endeavors that are part of North O’s revival. Seventy-Five North Revitalization Corp. Executive Director Othello Meadows is a more behind-the-scenes leader. His nonprofit has acquired property and finished first-round financing for the Highlander mixed-used project, a key Village Plan component. The project will redevelop 40 acres into mixed income housing, green spaces and on-site support services for “a purpose-built” urban community. Meadows says the opportunity to “work on a project of this magnitude in a city I care about is a chance of a lifetime.” He’s encouraged by the “burgeoning support for doing significant things in the community.” In his view, the best thing leaders can do is “execute and make projects a reality,” adding, “When things start to happen in a real concrete fashion then you start to peel back some of that hopelessness and woundedness. I think people are really tired of rhetoric, studies and statistics and want to see something come to life.” He says new housing in the Prospect Hill neighborhood is tangible positive activity. Meadows doesn’t consider himself a traditional leader. He feels North O’s suffered from expecting leadership to come from charismatic saviors who lead great causes from on high. Where can aspiring North O leaders get their start? 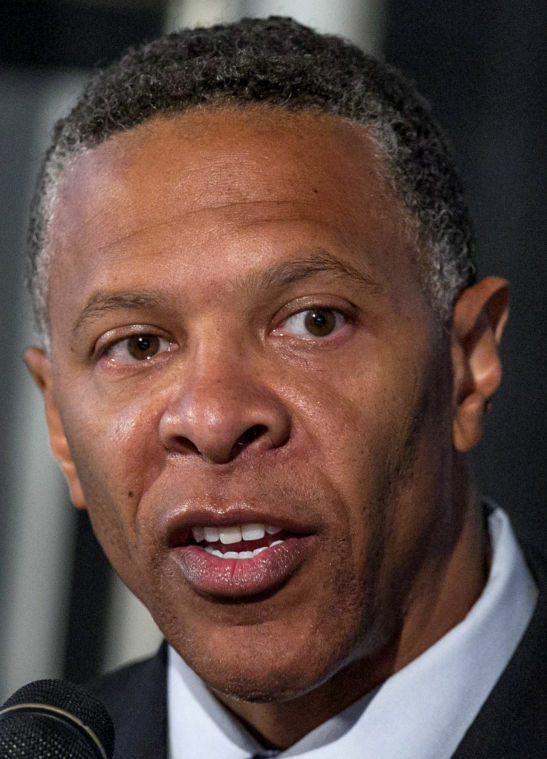 “They need to get in where they fit in and grow from there,” says Dell Gines, senior community development advisor, Omaha Branch at Federal Reserve Bank of Kansas City. Empowerment Network board member and Douglas County Health Department health educator Aja Anderson says many people lead without recognition but that doesn’t make them any less leaders. “There are individuals on our streets, in our classrooms, everywhere, every day guiding those around them to some greater destiny or outcome,” Anderson says. Meadows feels the community has looked too often for leadership to come from outside. 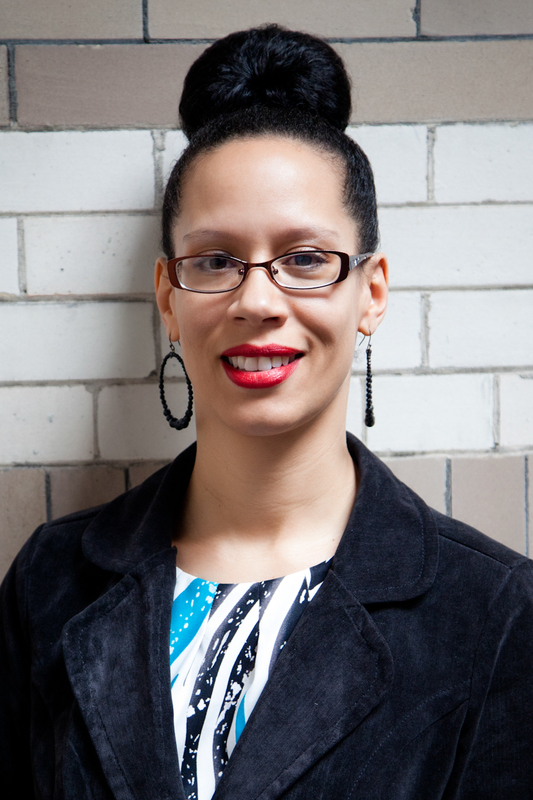 Carver Bank Interim Director JoAnna LeFlore is someone often identified as an emerging leader. She in turn looks to some of her Next Gen colleagues for inspiration. LeFlore is emboldened to continue serving her community by the progress she sees happening. “I see more creative entrepreneurs and businesses. I see more community-wide events celebrating our heritage. I see more financial support for redevelopment. I feel my part in this is to continue to encourage others who share interest in the growth of North Omaha. I’ve built trusting relationships with people along the way. I am intentional about my commitments because those relationships and the missions are important to me. Simply being a genuine supporter, who also gets her hands dirty, is my biggest contribution. Like Parker, Othello Meadows left here but moved back when he discerned he could make a “meaningful” impact on a community he found beset by despair. That bleak environment is what’s led many young, gifted and black to leave here. Old-line North O leader Thomas Warren says, “I am concerned about the brain drain we experience in Omaha, particularly of our best and brightest young African-Americans students who leave. We need to create an environment that is welcoming to the next generation where they can thrive and strive to reach their full potential.” Two more entrenched leaders, John Ewing and Douglas County Commissioner Chris Rodgers, are also worried about losing North O’s promising talents. “We have to identify, retain and develop our talent pool in Omaha,” Ewing says. Omaha Schools Board member Yolanda Williams says leadership doors have not always been open to young transplants like herself – she’s originally from Seattle – who lack built-in influence bases. “I had to go knock on the door and I knocked and knocked, and then I started banging on the door until my mentor John Ewing and I sat down for lunch and I asked, ‘How do younger leaders get in these positions if you all are holding these positions for years? How do I get into a leadership role if nobody is willing to get out of the way?’ They need to step out of the way so we can move up. LeFlore agrees more can be done to let new blood in. Some older leaders do push younger colleagues to enter the fray. Shawntal Smith, statewide administrator for Community Services for Lutheran Family Services of Nebraska, says Brenda Council, Willie Barney and Ben Gray are some who’ve nudged her. Powell broke through volunteering as well. “I wasn’t from here, nobody knew me, so I volunteered and it’s transformed my life,” says the San Antonio native. Sanders, who’s worked with the Empowerment Network and is now communications assistant for Democratic gubernatorial candidate Chuck Hassebrook, says AAYP is designed to give like-minded young professionals an avenue “to come together and get to know one another and to be introduced in those rooms and at those tables” where policy and program decisions get made. Enough are staying to make a difference. Shawntal Smith of Lutheran Family Services is bullish on the Next Gen.
“We are starting to come into our own. We are being appointed to boards and accepting high level positions of influence in our companies, firms, agencies and churches. We are highly educated and we are fighting the brain drain that usually takes place when young, gifted minorities leave this city for more diverse cities with better opportunities. We are remaining loyal to Omaha and we are trying to make it better through our visible efforts in the community. Old and young leaders feel more blacks are needed in policymaking capacities. 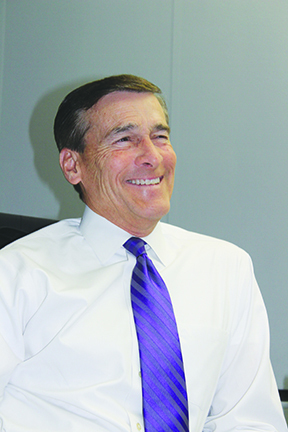 Rodgers and Anderson are eager to see more representation in legislative chambers and corporate board rooms. Warren says, “I do feel there needs to be more opportunities in the private sector for emerging leaders who are indigenous to this community.” He feels corporations should do more to identify and develop homegrown talent who are then more likely to stay. Shawntal Smith describes an added benefit of locally grown leaders. With leadership comes scrutiny and criticism. Tunette Powell isn’t afraid to stumble because like her Next Gen peers she’s too busy getting things done.